I-5 off-ramps to Sheldon St., Osborne St. and Van Nuys St. and on-ramp to Sheldon St., NOW OPEN! The Golden State freeway (I-5) is being widened to add a high occupancy vehicle (HOV) or carpool lane in each direction between the Ronald Reagan Freeway (SR-118) and Hollywood Freeway (SR-170) in the cities of Arleta and Pacoima. In addition, a direct HOV connector is being constructed at the I-5/SR-170 interchange so motorists can travel from one freeway directly to another without leaving the HOV lane. 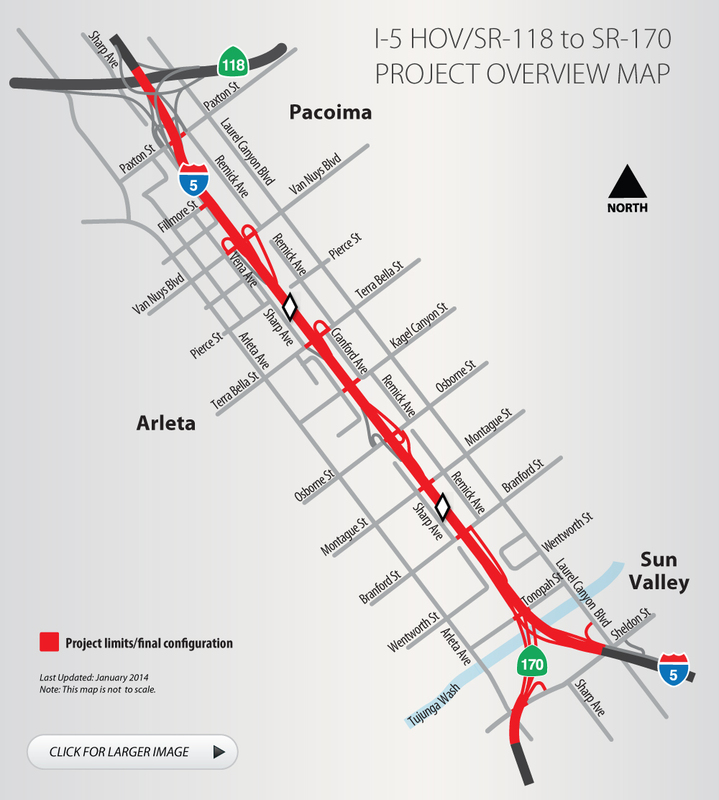 A new mixed-flow connector from northbound SR-170 to northbound I-5 is also under construction. The project will improve traffic flow, relieve congestion and encourage ridesharing.